Prince Albert II of Monaco on Tuesday called on President Ram Nath Kovind at the Rashtrapati Bhavan here. 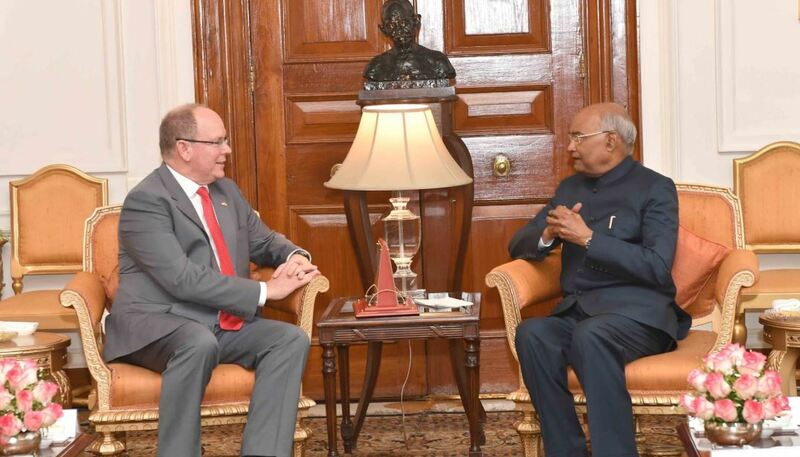 New Delhi: Prince Albert II of Monaco on Tuesday called on President Ram Nath Kovind at the Rashtrapati Bhavan here. He said both the countries can do more on issues such as renewable energy, climate change and the environment. 'We must prioritise these areas for bilateral cooperation,’’ he said. He pointed out that India was the fastest growing major economy in the world and Monaco’s technology and investment companies could significantly benefit from the India growth story. Later, the President hosted a lunch for the Prince and his delegation.